We are the first group around the world to epitaxially grow graphene on hexagonal boron nitride (h-BN) with precisely lattice alignment (zero twisted). Graphene on h-BN has a superlattice structure, a moiré superlattice due to lattice mismatch, wit a superlattice period of ~15nm. The superlattice can modulate the band structure of graphene and leads to a series of interesting physical behaviours such as the Hofstadter Butterfly effect. Graphene nanostructures are basic building blocks in graphene-based nanodevices. Fabrication of such structures with a controlled manner is essential to study their fundamental properties and also realize their full potentials in device applications. 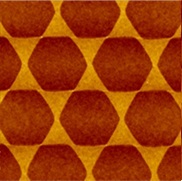 We have developed a top-down lithographic fabrication technique for graphene nanostructures with zigzag-edge terminations. 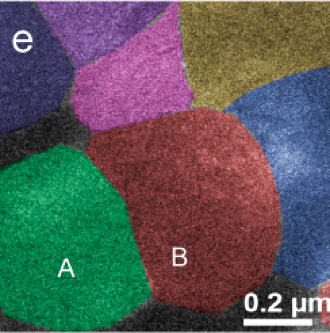 We are investigating the edge-related properties using this type nanostructures. Graphene is thin, flexible, robust, and has many superior electronic properties. 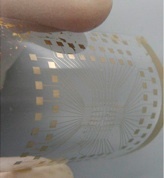 We are one of the pioneer group to use graphene as super flexible and highly sensitive strain sensors. We also tried to introduce graphene into planar resistive random access memory (RRAM) devices to construct multilevel memoristive devices which are simultaneously electroluminescent. Scalable growth of high-quality 2D semiconductors is a timely interesting and important issue for both fundamental and applied research. By chemical vapor deposition, we have achieved 100% coverage and centi-meter scale polycrystalline monolayer MoS2 films on SiO2; large single crystal MoS2 domains on sapphire with a record high of ~350 microns. 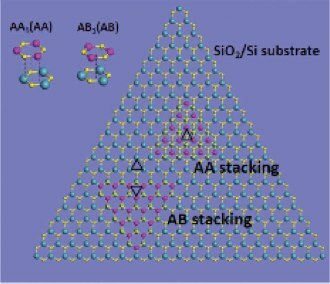 Stacking different two-dimensional material can form heterojunctions which have a variety of structures. We are interesting in construction of such heterostructures with a designable and controllable manner and using them in electronic and optoelectronic devices, especially on flexible and stretchable substrates (wearable devices).